We did it. I can’t believe it’s true, but we planted two pecan trees in our yard. We spotted them at Lowe’s in late September and selected a Sumner Pecan and a Stuart Pecan. We are slightly north of the growing zone for the Sumner, but our area has mild winters so it should do well. Pecan trees need another variety nearby to produce, and we planted these within 30 feet of each other. They got a little dry at one point and we were worried we might lose them, but it looks like they have taken to their new home. They don’t look like much right now, just a couple sticks about five feet (152 cm) tall since they lost their leaves, but they are full of promise, I can feel it. We have hopeful visions of harvesting pounds and pounds of pecans in about eight years. Yes it will be a long wait, but if the trees produce then my dream to grow our own pecans will be fulfilled. 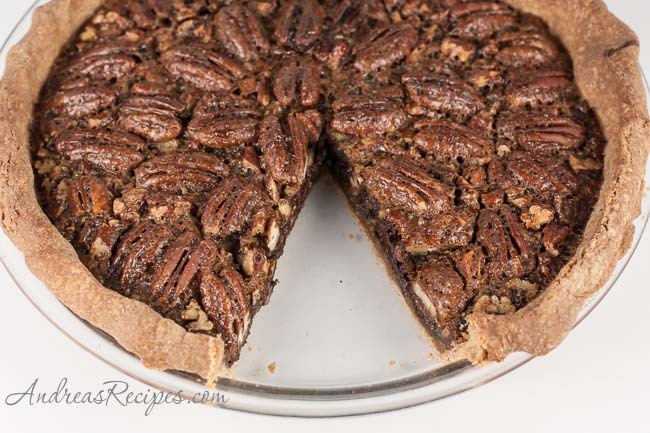 And what better use for pecans than to make a pecan pie? 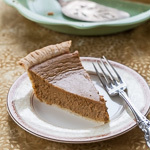 Pecan pie is a favorite on my side of the family—we are Southerners, after all—and you can always find at our Thanksgiving and Christmas celebrations. 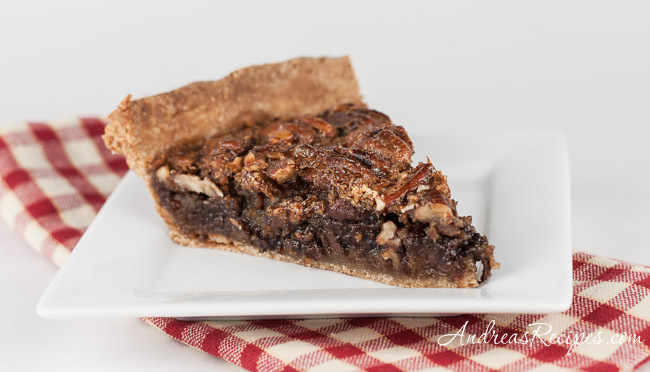 I’ve tasted plenty of pecan pie over the years, and this recipe with bourbon and chocolate is still my favorite. This year we tried it with a whole wheat crust and loved the combination. Pecan pie is a bit hearty anyway, and the crust really seemed to match the pie well. This will be our go-to crust for pecan pie from now on. For Thanksgiving preparations, you can make this up to a day ahead and save yourself a little work on the big day. Preheat the oven to 325° F/165° C. Remove the dough from the refrigerator and allow to rest about 15 to 30 minutes, until it has warmed up and is easy to roll. Roll the dough into a 12-inch circle, then place it in the pie pan. Carefully press it into place and crimp the edge. Put the pie back in the refrigerator while you prep the rest of the ingredients, about 15 minutes. You want the dough to chill a bit before baking so it doesn’t shrink up in the oven. Roast the pecan halves and bits on a baking sheet for about 5 minutes. Remove and cool. Sprinkle the chocolate chips in the bottom, then add the chopped pecans, and finally arrange the pecan halves on top. In a mixing bowl, whisk together the eggs, granulated sugar, brown sugar, golden syrup, bourbon, vanilla, and salt. Pour the filling over the pecans, making sure all of the pecans are coated in the mixture. Bake for about 45 minutes, until the filling is set and the crust is deep golden brown. Remove from the oven and cool in the pan for at least 30 minutes before serving. 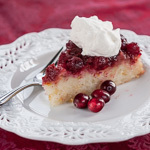 You can also use a traditional white flour pie crust. You can also use coffee liqueur (i.e. Kahlua) instead of bourbon. ohhh this looks good. and cool that soon you’ll have your own pecans! That pie looks very promising! A gorgeous dessert item! I love the idea of bourbon and chocolate (who wouldn’t?) and the whole wheat crust adds an extra hearty touch. 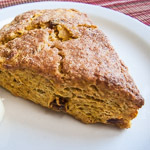 Nice recipe and photos, Andrea – thank you!